India is one of the few nations of the world that has such a systematically defined fundamental duty set for its citizens in the country’s constitution. And yet, the flora and fauna of the country keep losing the battle of survival everyday as India races to become an economically sound and technologically advanced country. 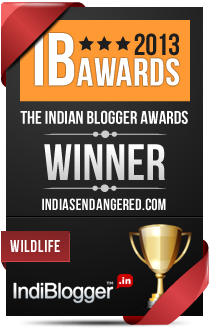 India’s Endangered is a website about endangered plants and animals of India. It is an attempt to highlight the present status of these species through news, views and valuable information so that people are aware and with the economic progress the ecological responsibility is not forgotten. Atula is a content creator, science writer, editor, blogger and columnist. She is the Founder & Editor of India’s Endangered. She is also the Content Head of Junior Explorers, a company helping kids connect with wildlife & nature through a fun, educational and interactive experience. She started her career as an advertising copywriter winning a number of national and international accolades in a short span. Gradually, she moved to content writing based on nature, environment and wildlife. She wrote for magazines like Heritage India and Chandamama. 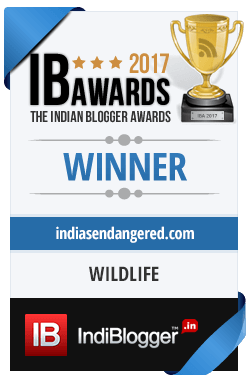 Atula founded India’s Endangered in 2011, an award winning website that has helped highlight conservation issues in India. She has since written environment columns for a number of Indian dailies and magazines. Her books, Environment Science Essentials, Level 1-6, for school children were published in 2013. You can reach Atula through her Twitter page or contact here. I really liked the website. Excellent information. Keep up the good work. Thank you. Keep visiting brother Rob. The website is really neat. I liked the articles on Great Indian Bustard and Vultures. Looking forward to see more articles. Thank you Dhananjay. Hope you keep visiting the site for more stories on endangered species. Thank you so much for your comment Mr. Dev. Also, I must say you are very lucky to be living in such close vicinity to a national park. Regarding your problem, I understand that the firing range may be disturbing the animals quite a lot especially birds and deers. What you can do is write to the forest department about it. Usually when a firing range is close to a forest area, the forest department has to give a “No Objection” certificate to the army. If the certificate is in place, the range has valid reason to be there. You can give your complain in writing to the forest department so that they make sure that the sound level is well within the permitted decibel level. In Corbett’s case, it was an NGO that had filed a PIL and the high court had ordered the ban. So you can also file a PIL. If the range is indeed disrupting the peace of the animals, the forest department should take notice of it and do the needful. Thank you so much for visiting the site and for your encouraging comments Raj. I am happy to know about your organisation and the way it is working in Assam. My best wishes for your efforts. Do let me know if there is any way India’s Endangered can help you for your cause. I really wish I could have had some time to spend with you. This is a great blog and the initiative is wonderful. Subscribed! Excellent update on the Website. The pages look fresh and the outlay is neat. Keep up the good work ! !